Your accomodation will be in a small luxury complex above the resort of albena in the villa zone. Dave and Bonnie welcome you to Kamchia on the Black Sea Coast Bulgaria. 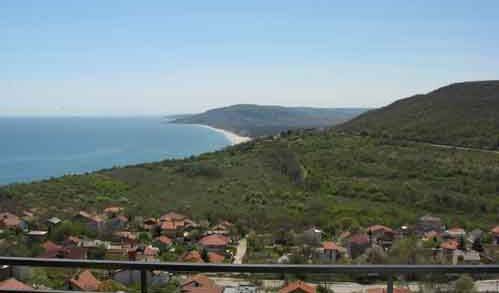 Come and stay in our lovely house in the beautiful nature reserve and secret gem that is Kamchia. We run a small friendly Bed and Breakfast in the village of Bliznatsi. A English family run bed and breakfast overlooking the valley to the Black Sea. English family run guesthouse overlooking Albena resort with 3 twin rooms and 1 double each with private balcony and sea/beach views and ensuite bathrooms. Breakfast inc in price. 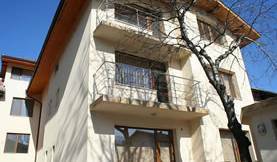 Hostel Bansko is a small hostel located in the well-known, all-seasons resort. SPA hotel Villa Roka is located in Bansko, Bulgaria. The hotel boasts a minimalistic design and has a well equipped SPA. Apart Hotel Cornelia is located only 10 minutes from Bansko resort overlooking Pirin Golf Course. Hotel Maraya offers you many possibilities: as a greate location for you ski holidays. The hotel is ideal for various activities in the summer. 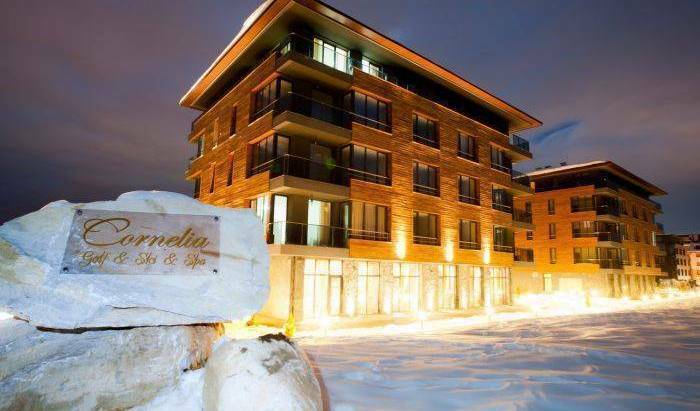 The apartment complex Grand Royale Apartment Complex & Spa is only 250-300 meters from Bansko ski-lift Gondola, amongst new buildings and at great views toward the mountains. We are located entirely in nature near Bansko ski resort- silence and calmness for total relaxation. We are suitable for ALL SEASON tourism. Come and spend a wonderful time in Bansko the most famous ski and summer resort in Bulgaria at reasonable prices! 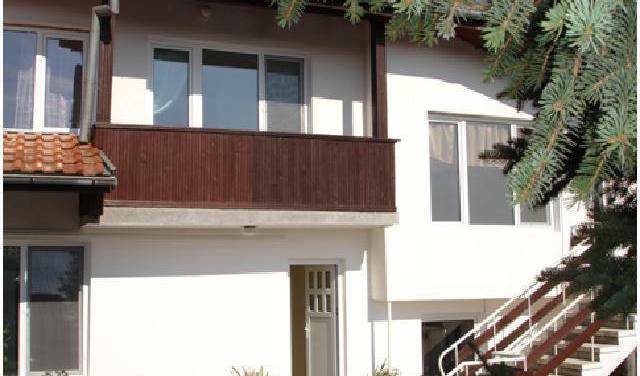 (Old name:Mountain Residence 1)Has excellent central location, equally close to the Gondola and the center of Bansko. Consists of 71 apartments on 4 floors. (Old name:Mountain Residence 4) Winslow Highland is a member of the apartment hotel chain Winslow Hotels. 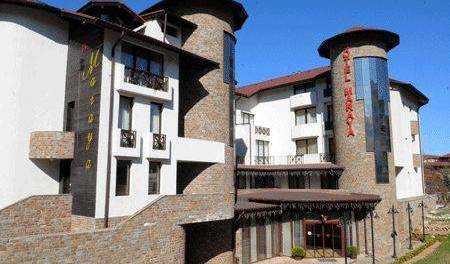 Its excellent location only 70 meters away from the ski lift makes it one of the most attractive hotels in Bansko. 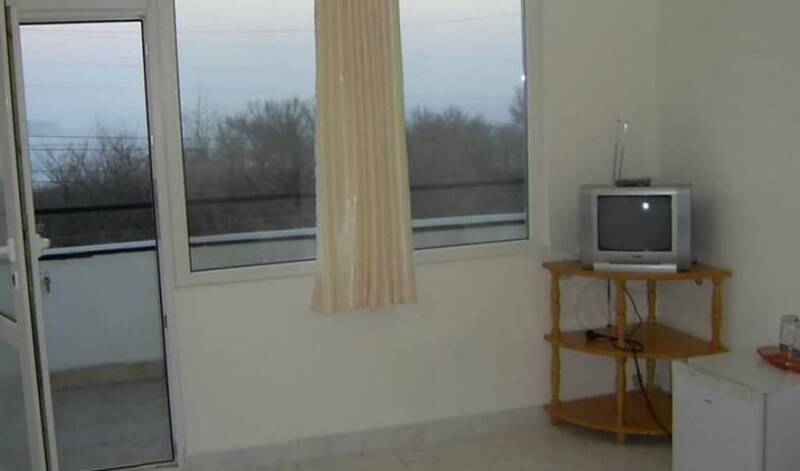 Two self contained apartments near Veliko Tarnovo. Welcome to the most colourful hotel! At the Doctor guest house offers bed and breakfast. 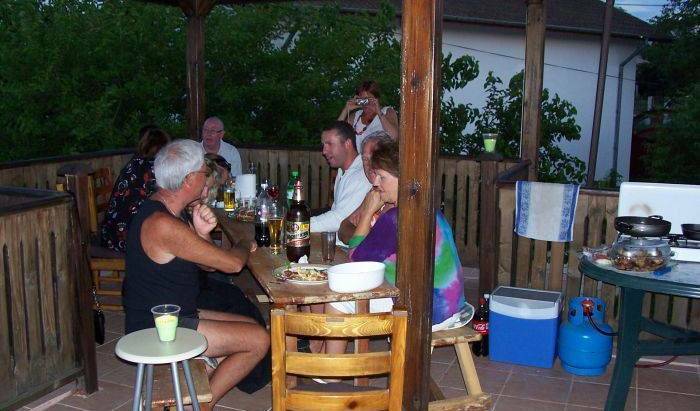 There is a small family winery and restaurant on site. You can enjoy a drink at one of the bars, which include a tavern with fireplace and a dining room/lounge. The hotel harmoniously blends all modern day amenities with the charm of the traditional old-style interior, typical for the Bulgarian home from the Revival period. Enjoy your new countryside home for a while. Villa Slanchevo offers you all the comforts of home and makes sure that you are well taken care of - clean house, good food, heaps of activities and overall enjoyment. We look forward to having you over! Rosna Villa - self catering villa. The bypassing garden river and surrounding mountains creates sense of unchanged and virgin nature. The dining area of the villa is with panoramic view, allowing visitors to enjoy beautiful garden. Located 20 seconds away from the River Danube, and 4 minutes walk into the main pedestrian centre of Ruse. The English guest house is the best budget option in the city. Tishina, klid a pohodu v bulharském doma. The only Hostel in Sunny Beach!! Ideal place for your vacation next to the beach and close to all the amenities!! Enjoy also our garden with swimming-pool, the cafe-bar or the new rooms!! Close to the beach and the resort center, the holiday residence is your choice for Sunny Beach - the biggest resort in Bulgaria, with the longest and widest beach strip, the sunniest resort for the sunniest people. Welcome to our cosy 10 COINS Hostel in a splendid city of Sofia (Bulgaria). Hostel 44 is a brand new facility, recently opened for business, located in the heart of Sofia. It is just 47 meters/140 feet (exactly measured) away from the most popular pedestrian area in the city – Vitosha blvd. Brand new super trendy guest house in the city center near Vitosha blvr! Cosy and fully-equipped, we welcome foreign and local travelers. Shops, outlets, cafes, restaurants, night clubs, casinos, big South Park are nearby. Lots of entertaining! Clean, cozy and comfortable rooms with two beds or a double bed with bathroom, air conditioner, TV, WiFi connection. Rooms with shared bathroom, air conditioner, TV, WiFi. Located in the city center, nearby Mall of Sofia. Located on the corner with Sofia's main shopping Vitosha boulevard, Internet Hostel Sofia is a perfect place for travellers who want cheap and clean accommodation. Hotel for sport and recreation within 10 km from the city centre. Park area, restaurant, tennis courts and many other facilities. Garden Flat is a good alternative to expensive hotel accommodation. Cozy apartment in the center of Sofia on a typical little street in the old city, on the first floor in a quiet inner yard. Our hostel is a perfect place for travellers who want cheap and clean accommodation. We are right in the heart of the most lively part of the city. Only 5 minutes walk to the most famous sightseeings, malls, bars, discos, restaurants. Experience the charm of Sofia in the new luxury hostel, situated in the heart of Sofia, specially provided to fulfill all your needs and demands during your vacation or business trip. 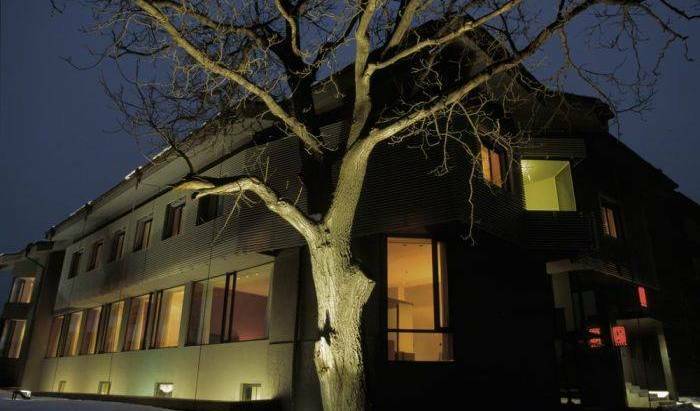 Guestrooms Struma Dolinata is a cosy modern house located in the quiet village of Strumyani, on a distance of 15 km of the spa resort Sandanski (southwestern Bulgaria). Varna's Party HOSTEL!!! Near Varna and Golden Sands, great atmosphere, great fun amazing holidays!!! Located in the very center of Varna 200M from the central train station. With wifi internet access , TV and multimedia systems in the communal area, Single and double bed accommodation, free tea and coffee and much more. Our cosy hostel has the unbeatable location to relax fully and explore the urban atmosphere and Varna's nightlife in the same time. We are 10-12 mins with the city bus to the center of Varna- the main Cathedral. Victoria Hotel is situated in the centre of Varna and it disposes of all facilities for a business trip, holiday or family tourism. Avocado Hostel is the newest, the cleanest and the most spacious hostel in Varna! An oasis of calm, comfort and friendly atmosphere combined with careful personal attention and high quality service to all our guests. Our Hostel has a ten bed Dorm and two double rooms for privacy. 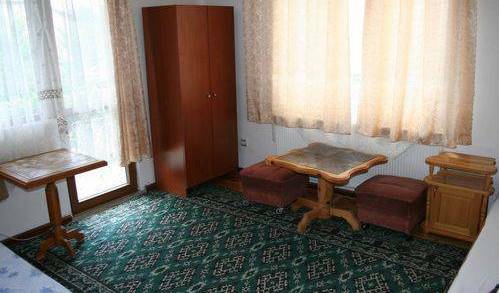 Set in the countryside very close to Veliko Tarnovo. Ideal for people who like to be close to nature. “City” hotel apartment comprises of two elegantly furnished hotel rooms, as well as two separate bathrooms. One of the rooms has a double bed, an extending sofa and a kitchenette and the other one has two single beds. From the coziness of their panoramic rooms or from the restaurant area, guests can enjoy watching the unique Tsarevets - SOUND AND LIGHT SHOW. Have a woderful vacantion in the heart of Bulgarian Balkan Mountain, Guest House Sisters Trfonovi is waiting you - 150 years old and entirely renovated in the Bulgarian Revival style holiday house, 5 km from the town of Elena, absolutely detached.